Forerster does not have any intellectual disabilities (ID), but he got involved in this year’s Games through the Special Olympics' Unified Sports programme. The project is one of the most valuable pro-inclusion initiatives of the organisation, Jon-Paul St. Germain, Unified Sports and Sports Partnerships' Senior Director at the Special Olympics told Euronews. The model consists of having teams composed of people with intellectual disabilities (known as ‘athletes’) and people without (called ‘partners’) to play sports together. “It's great to be in this team, everybody is full of joy, my job is just to help, I love it, I really do. We just have fun together, it’s perfect,” says Nico Weiss, a 23-year-old partner from Germany. There are three levels within the Unified Sports programme, an introductory one: known as ‘Unified Recreation’, a middle-level ‘Unified Player Development’ and then the highest level, the one admitted in the Special Olympics: ‘Unified Competitive’. Within the Recreation model, the goal is just to connect people with and without intellectual disabilities to play together in their local communities, regardless of their ability or age. The highest ‘Unified Competitive’ level which participates at the Olympics has "fully competitive teams, that play with similar age, similar ability, with no rules modification,” he adds. What makes a successful Unified team? “Great teams play well together, and have roles that accentuate their strengths,” says Mike Bovino, Unified Sports Senior Advisor at the Special Olympics. 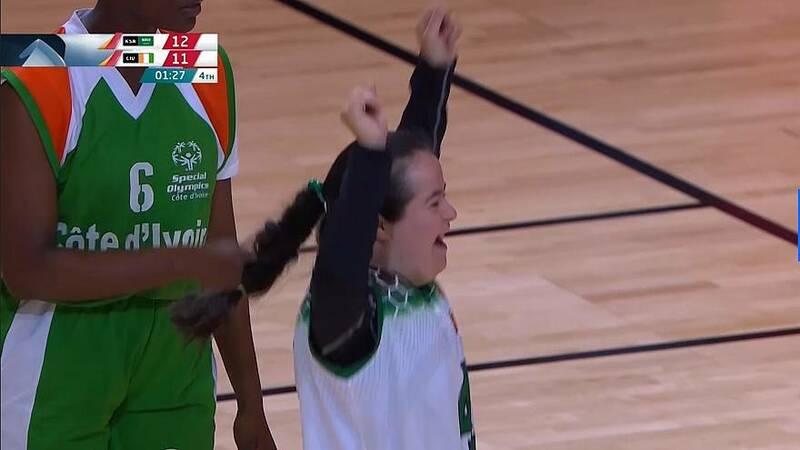 “Unified Sports open great opportunities for Special Olympic athletes, as it gives them the chance to share life experiences with their Unified partners”. Unified partners get so invested in the lives of their Athlete teammates that they often advocate for jobs for people with ID in their workplaces or among their friends, Bovino told Euronews.